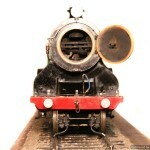 This one is just a little bit on the special side! 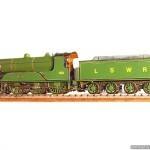 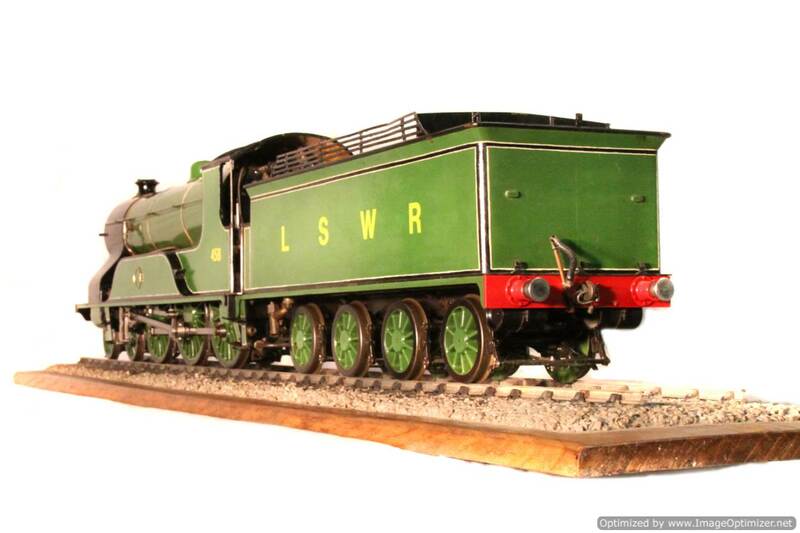 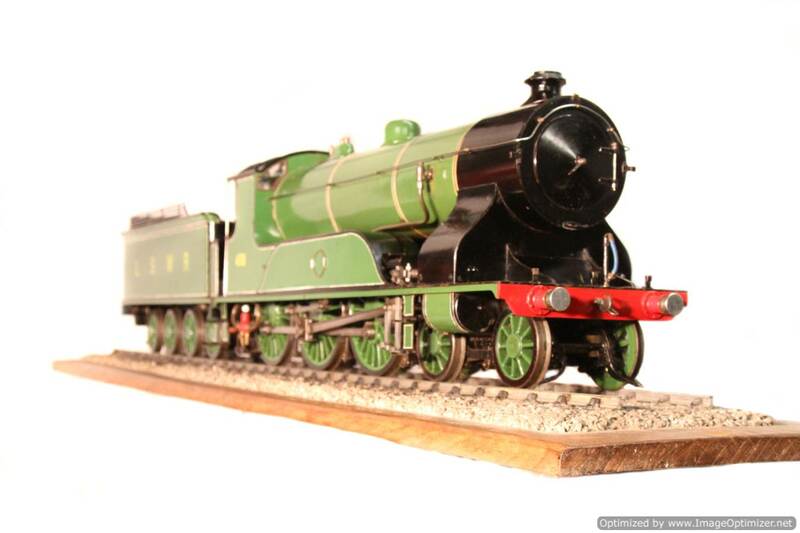 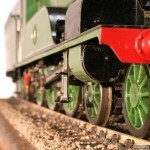 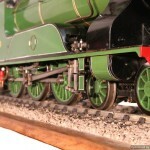 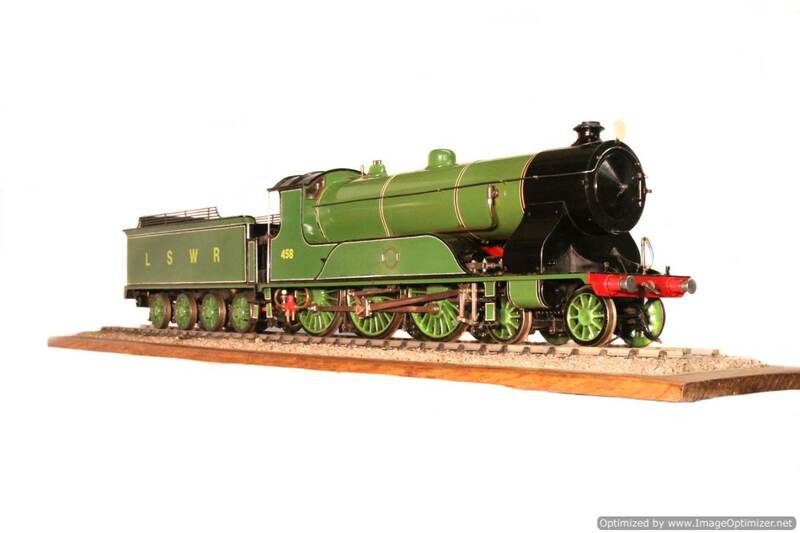 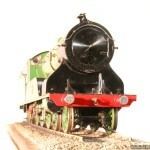 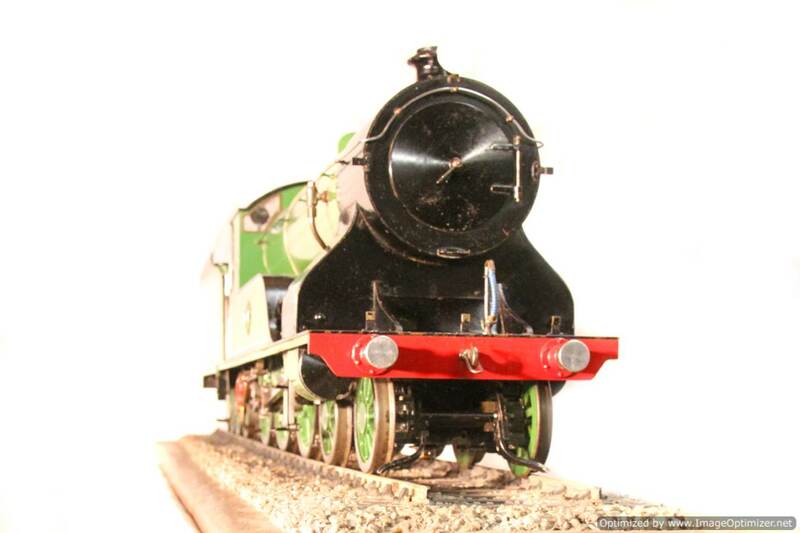 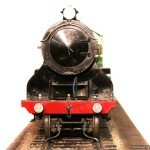 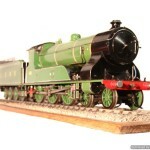 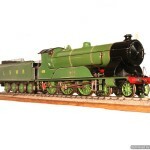 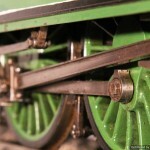 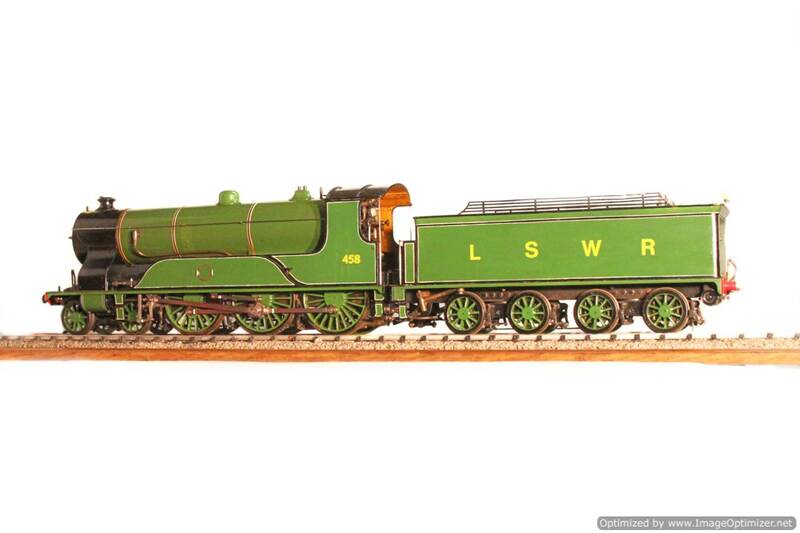 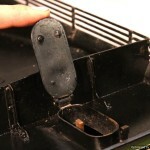 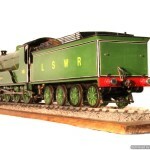 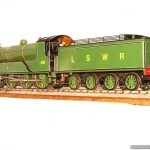 Here we have another one off, unique model of a LSWR Drummond T14 4-6-0, or ‘Paddlebox’ as they became known. 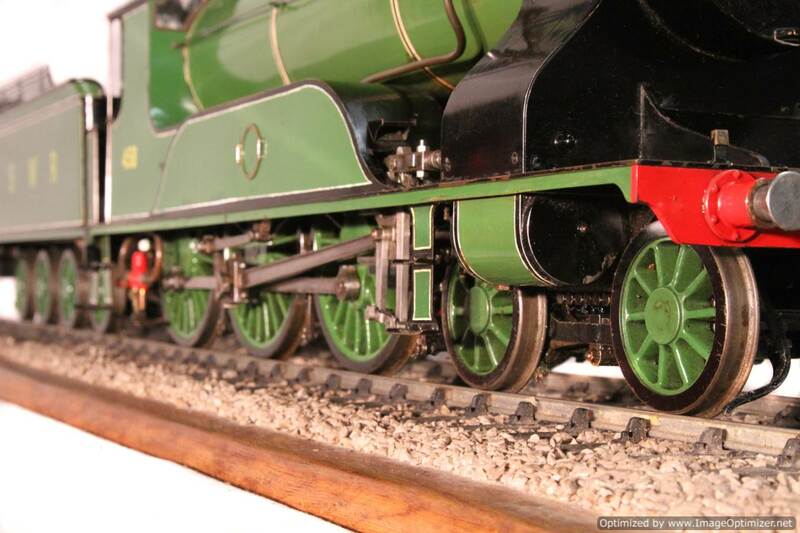 A full 4 cylinder model, and a beautifully made one at that, we’d like to re-build this and give it a first class paint job to match the quality of the engineering on the model. 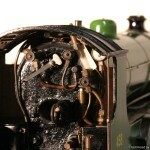 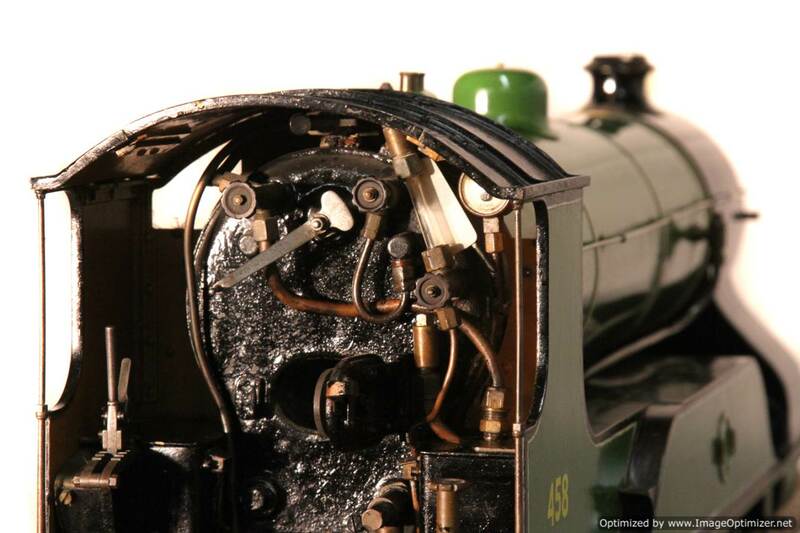 Built, we think by the late Bert Mead, this is a model of Nº458 , which was the first T14 to have it’s firebox cross watertubes removed and to be fitted with a Urie superheaters in August 1915. 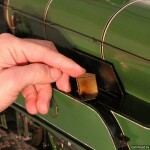 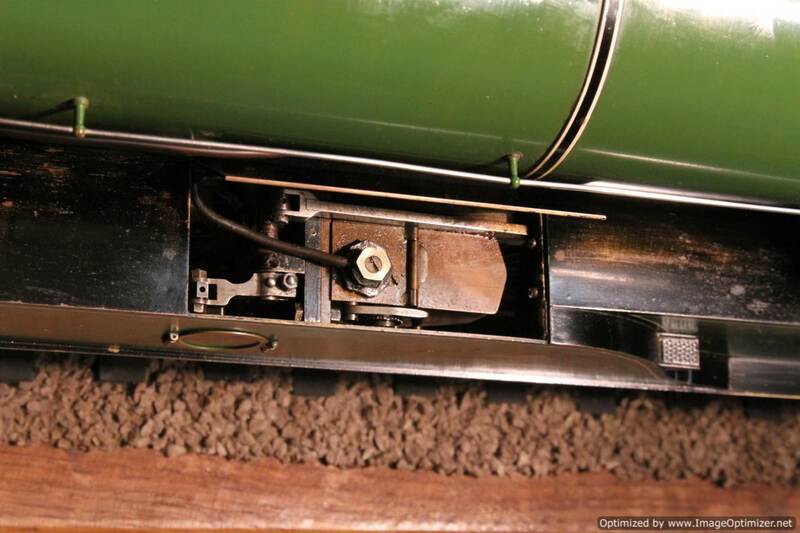 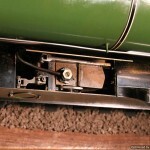 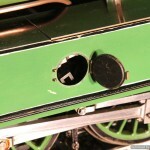 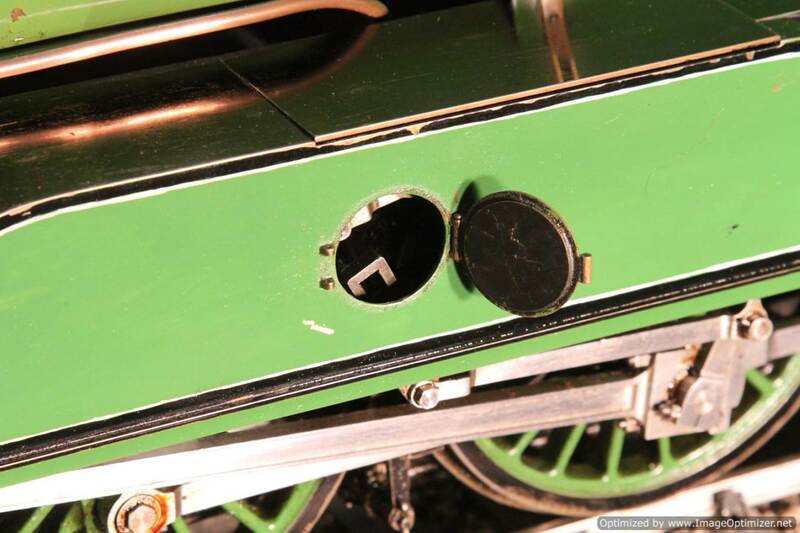 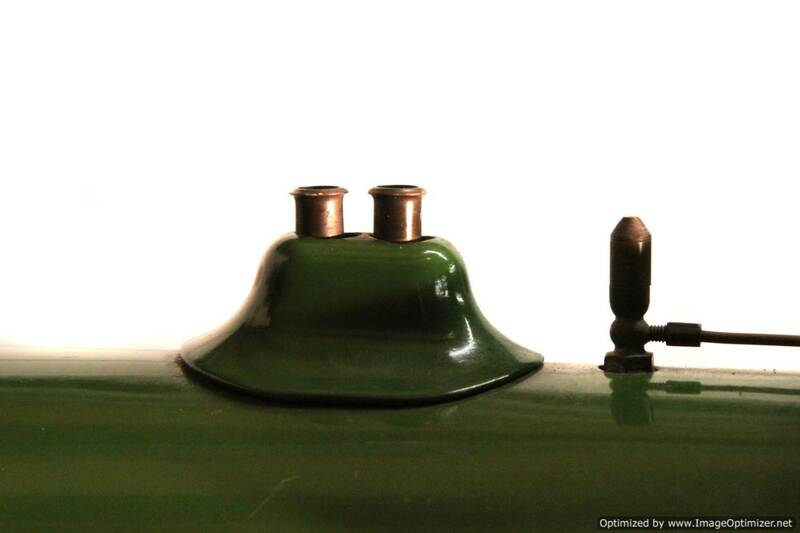 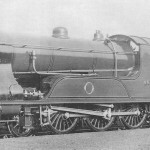 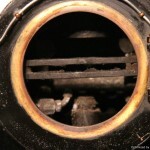 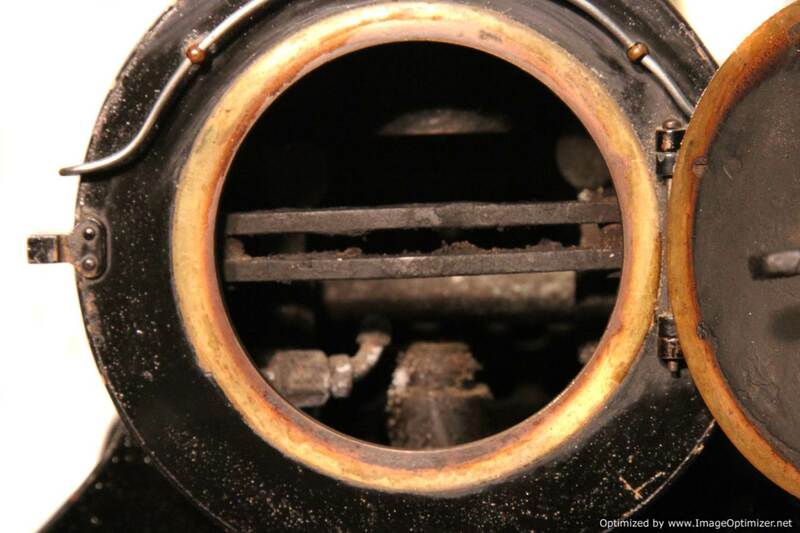 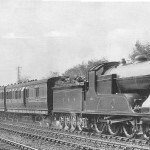 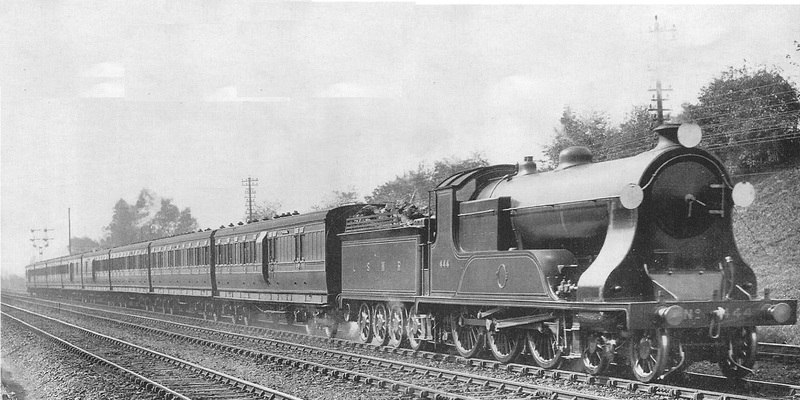 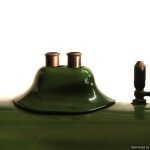 At that date, the smokebox was extended forwards to take the new superheaters altering the lines of the original loco to what you see represented here. 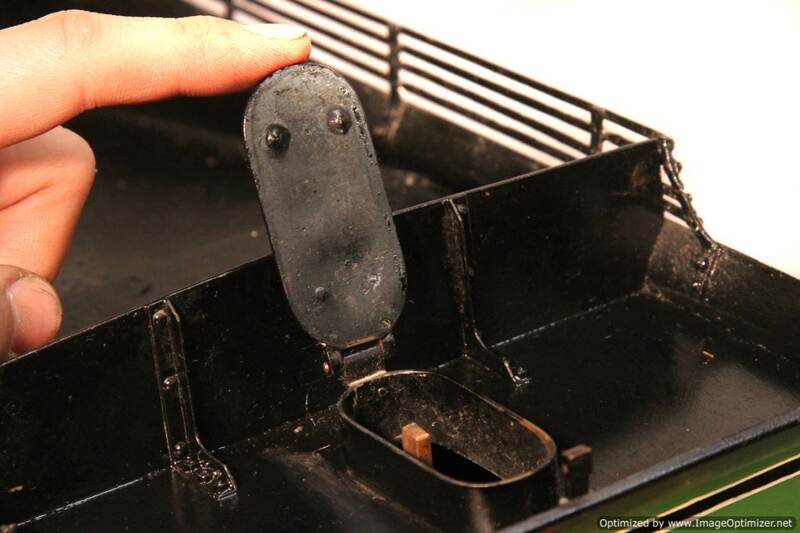 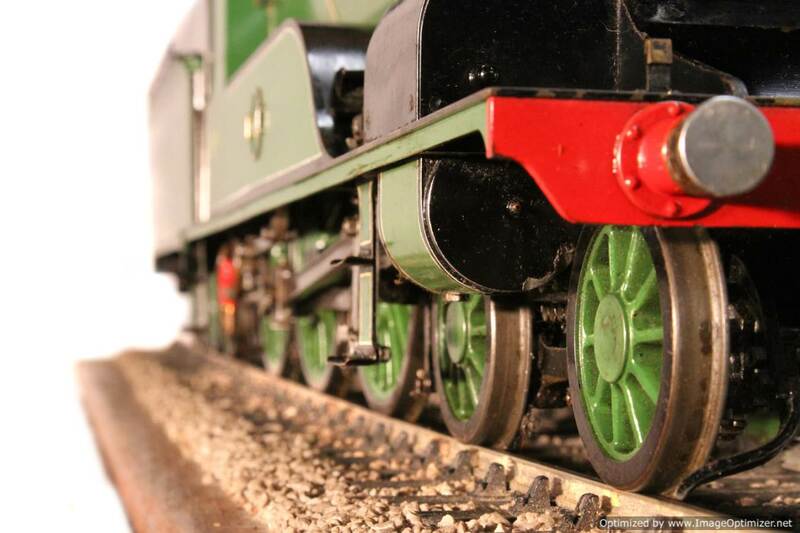 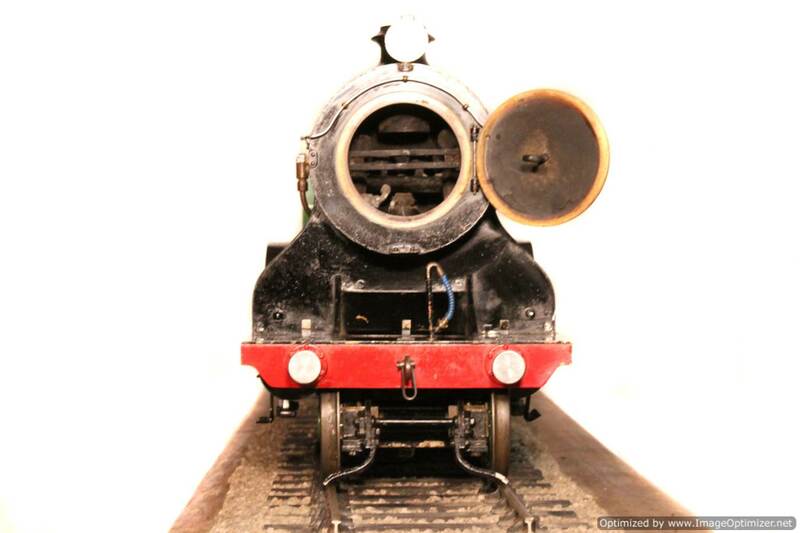 During our re-build, we are currently in two minds as to whether to keep the model in it’s current form, or indeed shorten the smoke box back to the original design, thus producing a slightly prettier prototype, (in our view) and opening up the potential of a few other numbers. 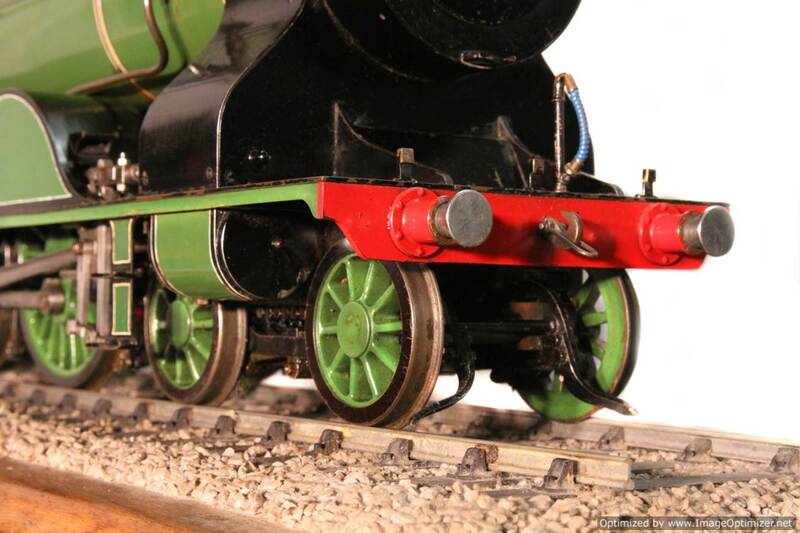 For now, we will leave this choice up to the potential new owner to specify. 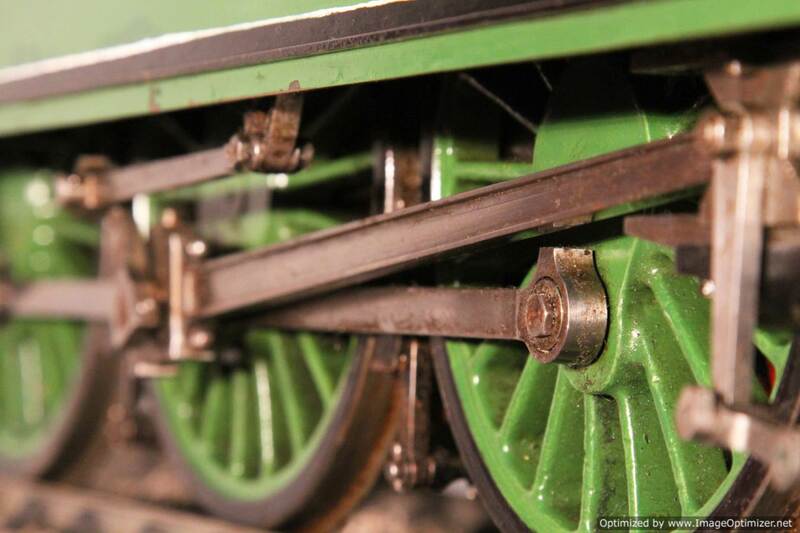 Have a look through our projects page to see the standard of some of our previous re-builds to give you an idea of what you can expect. 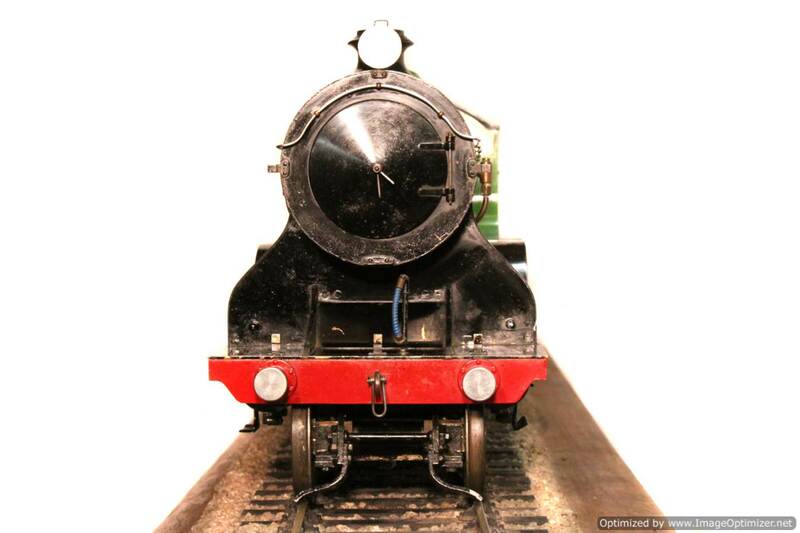 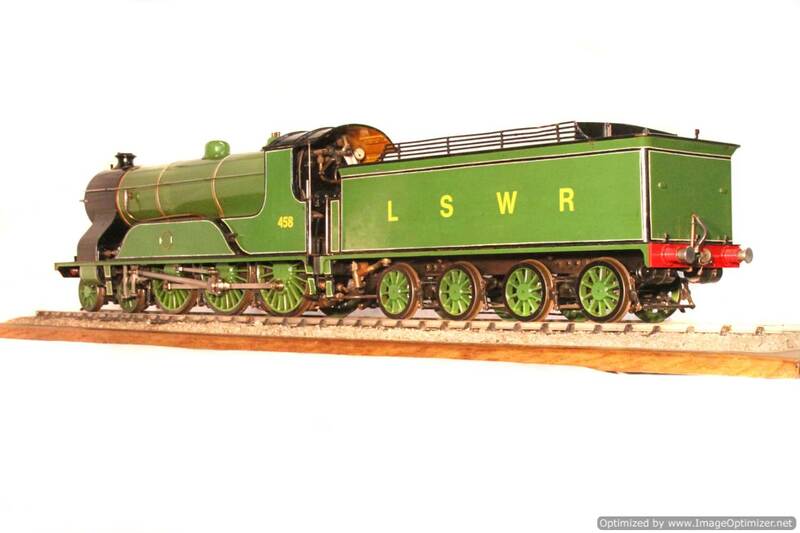 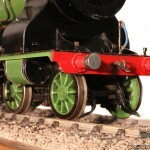 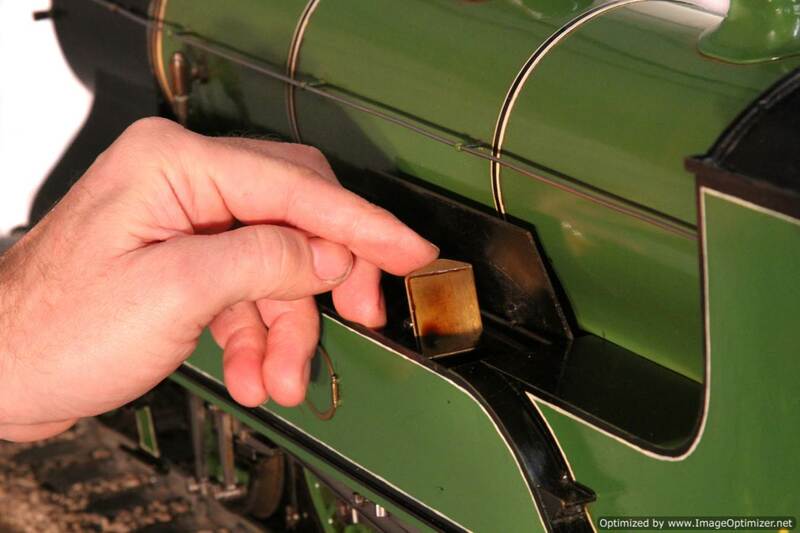 If you’d like a Steam Workshop re-built locomotive, (this will probably be something like SW re-build number 15), and you’ve a thing for turn of the century Southern locos, then you’d wait a long time before finding something else as special as this little fella! 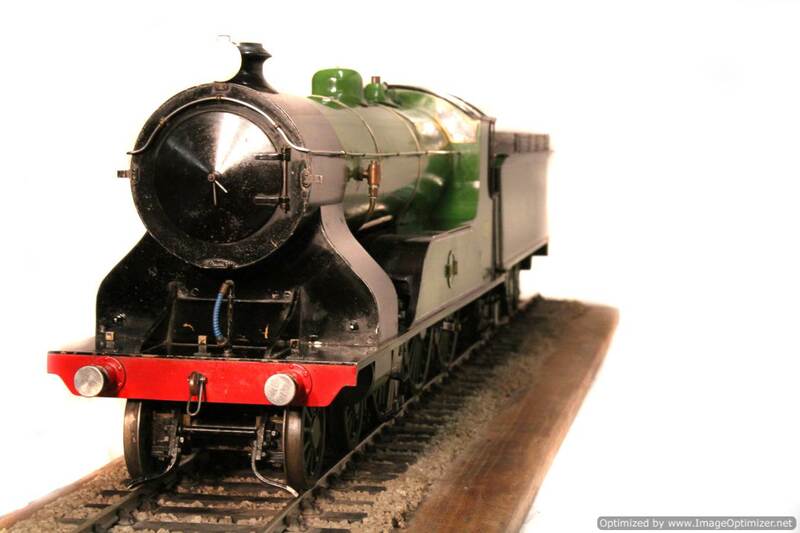 For any more information please don’t hesitate to give us a bell on 07816 963463 for a chat about the model and the project. 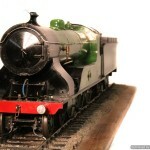 £8750 – Fully re-built, re-comissioned and painted by ourselves.